A short guide for how to polish a stainless/chromed exhaust tip and bring it back up to it's original shiny glory. Years of neglect can result in rust and corrosion build-up which basically makes the whole rear of your car look like poo poo. Sometimes the rust build-up is so bad it looks unrecoverable but it's surprising what an hour and some elbow grease can do. Below are the before and after photos for a second-hand Peugeot 306 GTi6 rear box I recently bought. I thought the rear tip would have to be replaced because it was such a state but decided it was worth giving it a clean up first and the results were very surprising. 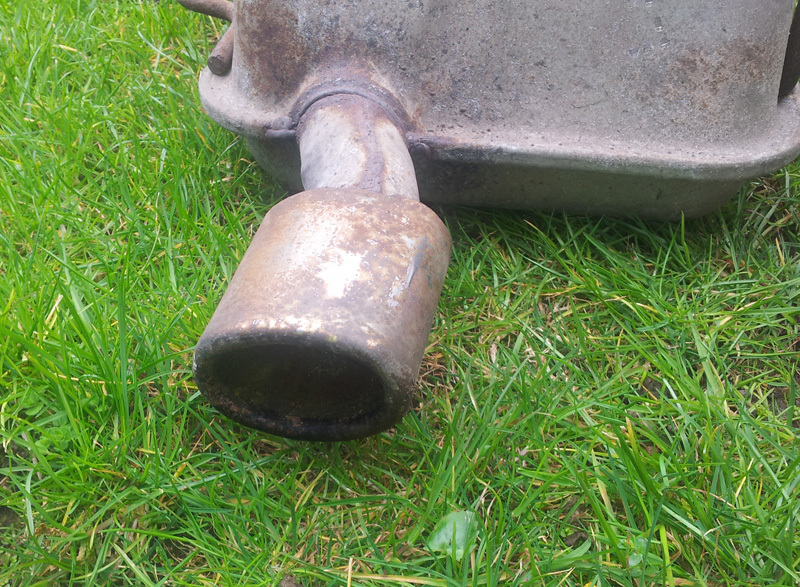 As you can see from the first photo this exhaust was quite badly corroded and you could barely see any of the polished finish at all. After about an hours worth of elbow grease it looks like a completely different exhaust tip. Using the wire brush scrub the worst of the corrosion off. Focus on small areas at a time and work your way round, when one side is done flip the exhaust over and do the other side. Be careful as the wires can create scratches in the metal which are hard to remove. In this case the exhaust tip was so bad that it was going to be almost impossible to remove all the rust and corrosion without making some scratches. Once all the main corrosion has been removed move onto the sandpaper. Fold the sandpaper to enable you to rub only on areas which have spots of rust. Rub hard and watch the rust turn sandy and then disappear. 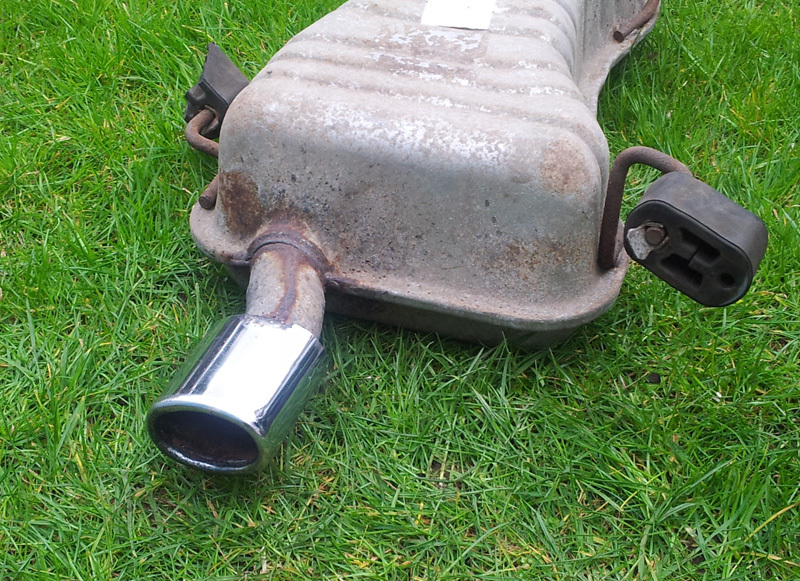 Go round the exhaust tip focusing on small areas of corrosion at a time until they are all removed. I used 120grit sandpaper for this but I imagine anything up to 200 would be fine, harsher grits (lower number than 120) will scratch the finish. Once all the surface rust is removed the finish may be still be pitted, depending on how bad the corrosion is and how long it has been eating away at it, unfortunately there's not a lot you can do about this. The final stage which will bring up the chrome exhaust tip to the best mirror finish possible is the use of a metal polish such as "T-Cut Original Metal Polish". Like a lot of things, the more effort you put into this stage the greater the rewards will be. Put a small pea-sized blob on the polishing cloth and work it into an area of the chrome until it is completely broken down. With this I found lots of pressure helps. There you go, that's how to polish a chromed exhaust tip, a few blisters and a sore arm later and you should have a great mirror-like finish. Questions and comments welcome below.